Impressive. A recipe that is simple enough for a fourth grader and delicious enough to think it’s delivery; and with a schedule like mine, it’s hard to get the food you want, when you want it. So I took to the grocery store to get two simple ingredients. 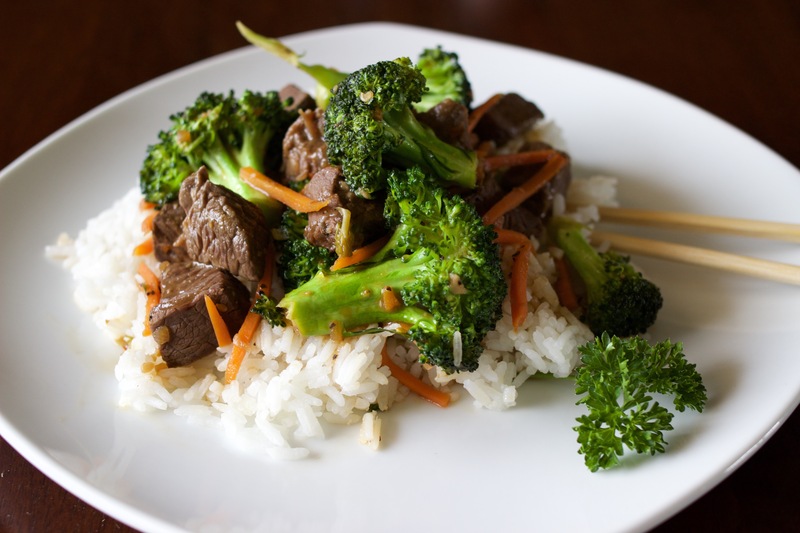 Beef and broccoli. Sometimes we want a dish so delicious and yum that damn near cooks itself! So, I’ve created a recipe just for you in just 5 easy steps! 2 cloves minced Garlic, chopped. Sauce (made separately): In a mixing bowl, whisk all ingredients together and leave for a glaze once the food is plated. 1. Brown chopped garlic cloves with a pinch of olive oil in a pot. Once garlic is browned, bring 3 1/2 cups of water to boil. Throw in your rice and cook at medium-high heat. Once your rice is steaming and the water is almost gone from the surface, cover and reduce heat to medium-low temp. During this process you should start your stir fry. 2. In a medium pan (or wok) start on medium heat by placing your olive oil, more garlic and red pepper flakes. 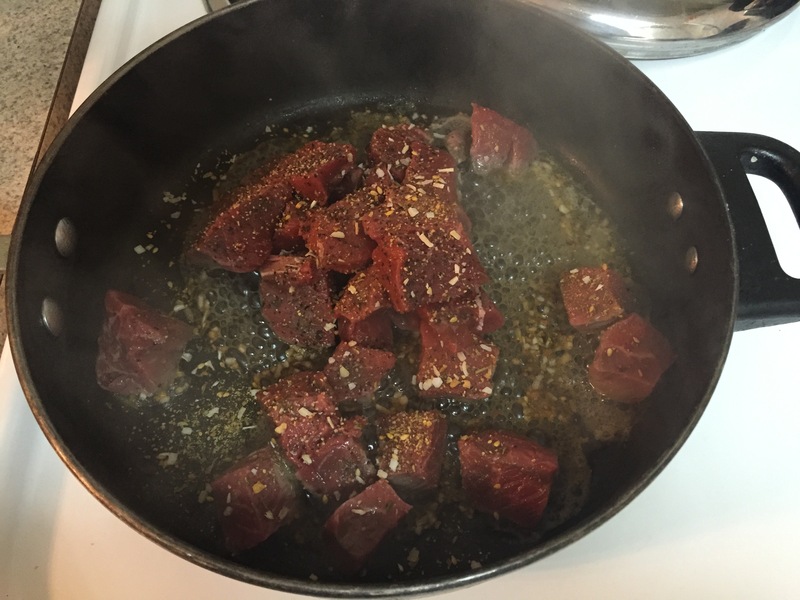 Moving them around constantly to mix all flavors and then drop in your raw steak chunks. As its browning, add in your dry seasonings like black pepper and ginger. 3. Now its my favorite part! Time for some soy sauce and Sriracha! YUM! 4. Reduce your heat to low. This is where you will simmer in your broccoli florets and shredded carrots, to preserve color and a crunchy texture always add your veggies last, avoid stirring them a lot to keep your broccoli pieces solid and to treat the pot/ wok as a steamer (if you need to, its okay to add a little bit of water as you may have lost some liquid in the process). 5. Enjoy your dish because it’s ready to serve immediately! Shouldn’t be more than 10-15 minutes and you can inpress yourself or your company in no time! LITERALLY! 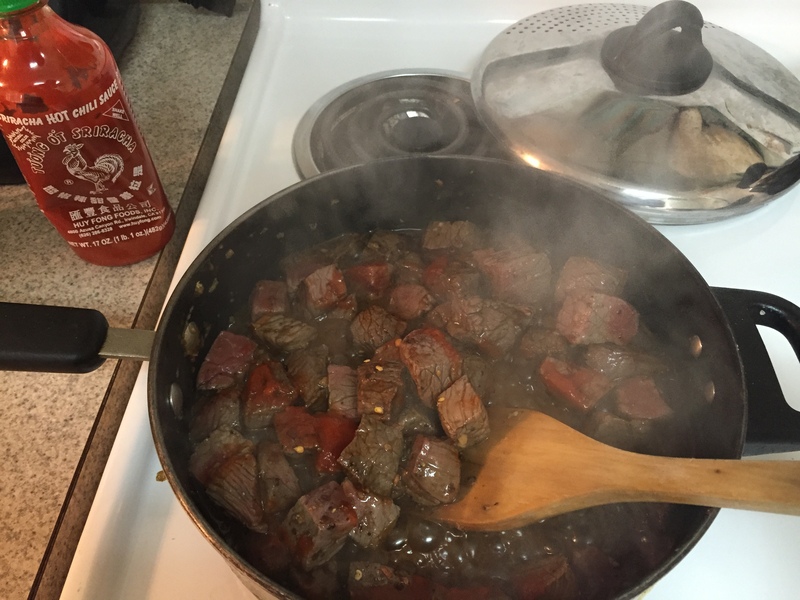 Start with white rice and pour over your stir fry and don’t forget your delicious sauce too!